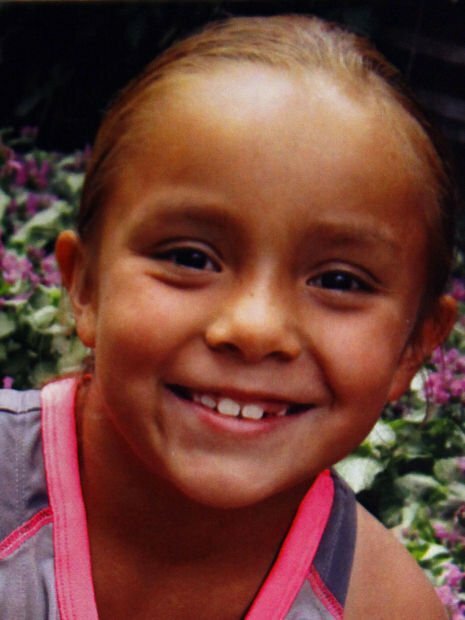 In the year since the death of 8-year-old Jayla Rodriguez on the Pine Ridge Indian Reservation, little has been accomplished to keep community members safe from the kind of wild dogs that killed her. Meanwhile, at least two children were recently attacked and bitten by dogs that still roam in packs on the reservation. One year ago, the Oglala Sioux Tribal Council convened a lengthy Saturday meeting to start the process of trying to prevent the death of another child by dog attack. The sense of urgency was palpable that day in the meeting room at the Prairie Wind Casino near Oglala. Like many of her colleagues, Council Member Jackie Siers spoke emotionally, saying then, "We pass laws, but there's no follow through. We need to hold people accountable. I hold us (council members) accountable, too." Her words now seem prophetic. "I'm not satisfied," Siers said last week. "We're still hearing stories of people being attacked by wild dogs." Council Member Ellen Fills The Pipe, who chairs the tribe's Law and Order Committee, said there have been no deaths due to dog attack on the reservation since Jayla was killed while sledding. Still, she said, about three months ago, a 4-year-old child was attacked in Pine Ridge and suffered wounds to her face, neck and shoulders. About five months ago, Fills The Pipe said, a 5-year-old boy was attacked, and it is likely the backpack he was wearing saved him. The dogs "were on top of him, biting at his backpack," she said. Then within the last few days, she said on Friday, a pack of dogs was ripping apart another animal, too mauled to identify, in the heart of the community of Pine Ridge. The tribe's goal is to create "a good animal control department," Fills The Pipe said. If that sounds familiar, it is because one year ago, at the council meeting, council members informally agreed to set aside $200,000 to immediately improve the animal-control efforts. The plan was to take the money from a settlement of about $4.5 million with the Indian Health Services. Now, Fills The Pipe said, there is a proposal to take $250,000 from the tribe's budget to start the animal control department. The Law and Order Committee is forwarding to the full council an amendment that would combine the so-called Braedon's Law with the existing animal-control law, Fills The Pipe said. Braedon's Law bans several dog breeds. Named for young Braedon Rodriguez because of the brutal attack he suffered in 2006, the law bans pit bulls, Rottweilers and Dobermans. Braedon, now 17, is Fills The Pipe's son. She said he still struggles with post-traumatic stress disorder. Combining the two laws, she said, would put more responsibility on the tribal police department to crack down on dog violations. She also hopes the tribe will be able to convert the old jail into an animal shelter. Fear of dog attacks grips the reservation. Many people won't walk on the reservation unless they're carrying some protection, she said, such as sharp objects or sticks. One of the misconceptions, Fills The Pipe said, is that people tend to think that stray dogs are the ones attacking. "I'm not so concerned with strays," Fills The Pipe said. "It's the feral packs at night. We need to see how we can get to those animals." Jean Parker, who has spent nearly three decades working on the reservation, trying to rescue dogs and find homes for them, agrees with Fills The Pipe. Last year, in the wake of Jayla's death, the reservation was rounding up strays and killing them in large numbers. Parker and others were able to save some and find homes for them off the reservation. The single strays "weren't the dogs that were causing the troubles," she said. "You still have the problem of the feral dogs." Still, owned dogs that are running loose cause their own set of problems, such as pregnancies that result in unwanted puppies. "It's not an animal problem," Tatewin Means, the tribe's attorney general, said. "It's an adult owner problem." Fills The Pipe said the tribe is working on holding residents accountable for their pets and having pets spayed or neutered. The tragedy of Jayla Rodriguez is still a matter of concern. In September, her maternal grandfather, Terry Griffith of Jefferson, La., wrote a letter to U.S. Rep. Kristi Noem, R-S.D., asking Noem to look into what he called "a serious failure of investigative procedure" into Jayla's death by the FBI and other government agencies. The first anniversary of Jayla's death was "really hard" for Jayla's mom, Danielle Griffith. "It still doesn't seem possible, real," she said. "Jayla was so gorgeous, so full of life, so funny." Jayla's family has been working to transform her death into something practical and meaningful: an animal shelter they call Jayla's Dream. Jayla loved animals and wanted to help them on the reservation, Griffith said. Camille Griffith, Jayla's aunt, said last week that the family has raised about $12,000 and has "a couple of acres" donated as the shelter site. "We're working on getting grants, too," Camille Griffith said. Danielle Griffith was distressed to hear that the attacks have continued. "That's terrible," she said. "I didn't know about that. They really need to get that under control, for sure." Fills The Pipe is hopeful action can come soon to make things safer. "I wish it would happen sooner," she said. "I'm very grateful. I still have my child. We need to make sure no other little kid gets hurt like him again."